We are supplier and exporeters of Unbreakable Plastic Bathroom Set. 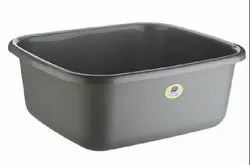 We are a leading company engaged in manufacturing and exporting of plastic tubs in variety of shapes and sizes ranging from small to large ones. Our ability to customize the products as per the requirement of the customers has given us an edge above our competitors. We are one of the trusted companies of Maxx Bathroom Set. Our products are enormously admired in the market owing to their top features.